On this tour, we travel in and out through the cloud forest and all the way along to the lowland forest. You will visit the tapir salt lick, the macaw clay lick and 2 oxbow lakes as well as climb a canopy tower. 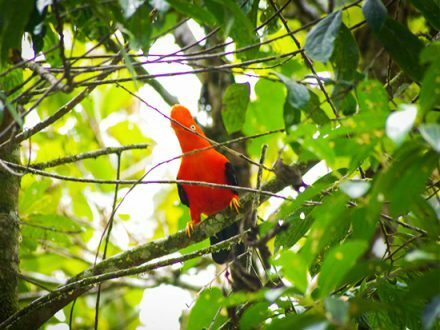 This tour shows you the highlights of Manu: lush cloud forest with abundant bird life and great scenery when travelling downriver towards the lowland. Here we visit oxbow lakes to observe giant river otters, the mammal salt lick and the big macaw clay lick. We also climb a canopy tower and do several walks to look for monkeys and birds as well as night walks. We return via Atalaya and on the Manu road through the cloud forest. After an early breakfast, we continue our adventure with our minibus: we pass the village of Pilcopata and cross the river of the same name to get to the small port of Atalaya (600 m). On the way, we will stop at an animal rescue station and at an local orchid garden. We also do some short walks along the road to look out for monkeys and birds. From Atalaya, we navigate for about 8 hours in a 15-meter motorized canoe down the Alto Madre de Dios River to get to the lowland rainforest. 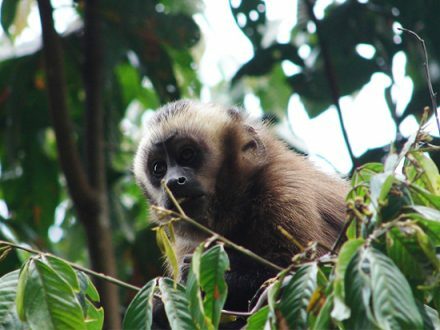 During our trip, we will enjoy the changing landscape and have the great opportunity to see wildlife along the rocky river banks, such as the Fasciated Tiger Herons, Purplish Jays, Skimmers, Vultures, caimans and some of the 13 monkey species that live in Manu. On our way we will visit Diamante, a Piro Indian village, where we can discover some typical houses. 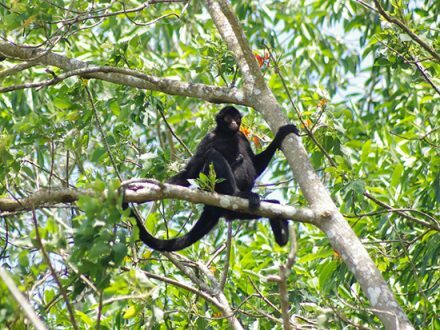 In the afternoon we arrive at the Maquisapayoj Lodge (“Place of the Black Spider Monkey”). Afterwards we will have an evening night walk to see insects, frogs, snakes etc. At dawn, we return back to the lodge to have breakfast. Afterwards we travel downriver to visit the “Cocha Blanco” (Blanco lake). After a short hike we reach the oxbow-lake which we explore by catamaran to look out for a Giant River Otters family that lives here. We enjoy the beautiful setting at the lake and start to look for monkeys (e.g. Red Howler Monkey), caimans and different varieties of birds. Back in Maquisapayoj, we have the chance to hike some other trails to look out for the Emperor and Saddle-backed Tamarin Monkeys, Monk Saki Monkeys and birds such as Pavonine, Quetzal, Hoatzin and Manakins. We can also visit the salt lick in the afternoon to look out for monkeys, guans and deers. You can spend another night on the tapir platform or otherwise go back to the Maquisapayoj Lodge, where you go for a night walk and spend the night in your double room. If you are keen on discovering more animals, we can go for a walk at first light of our fifth day and later on have our delicious breakfast. We then explore some trails to look for the Black Spider and Red Howler Monkeys, White and Brown Capuchin and many bird species. 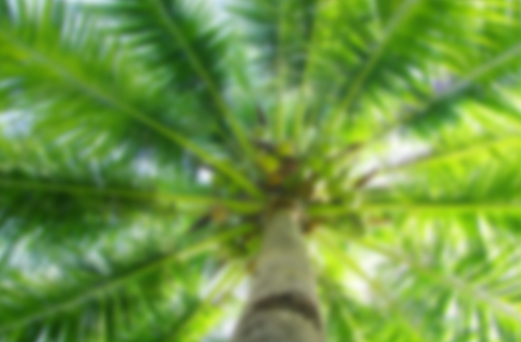 The guide also informs you about interesting plants! 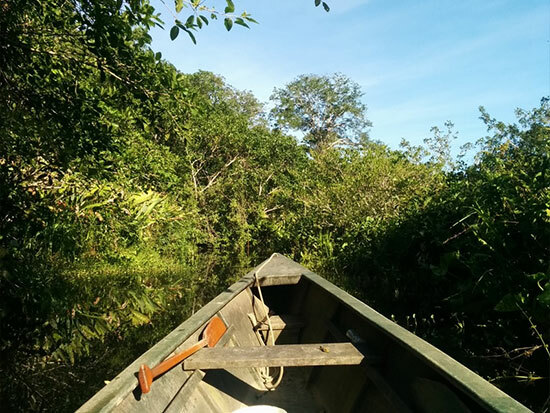 In the afternoon, we travel upriver for about 3 hours to the Hummingbird Lodge. On our way, we stop in Boca Manu, or Fitzcarrald, the main village of Manu. Here, we can meet people from different ethnic groups and also see boat builders. Afterwards, we will discover some of the trails near the Hummingbird Lodge and then go for a night walk. You will experiment yourself that the area is perfect for observing birds, especially hummingbirds. We then spend the night at the lodge and get some rest to prepare for the following adventurous day. Today, we aboard our boat early to travel upriver, making our way back towards Cusco. During our boat ride we always look out for animals like Capybara or Caimans on the shores of the river. If time allows it, we can make a stop at Aguas Calientes to dip in the hot waters or we can visit Machuwasi Lake to observe some more animals. In the afternoon we arrive at the Rio de Oro Lodge. We have dinner, go for a night walk and then spend the night at the Lodge. After breakfast we take the boat back to Atalaya. Here, our bus will be waiting for us for our return trip through the cloud forest and over the Andes back to Cusco. 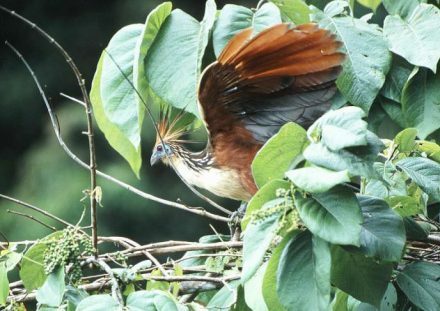 Travelling through the cloud forest, we can look out for birds, insects and butterflies along the roadside and stop whenever we spot animals. We will reach Cusco around 06:00 pm and then transfer you to your hotel. Plastic bags for clothes and camera, etc.